The Supreme Council, operating in New Haven, Connecticut, charters local councils numbered in the order in which they chartered into the Order. Councils are named by the local membership. 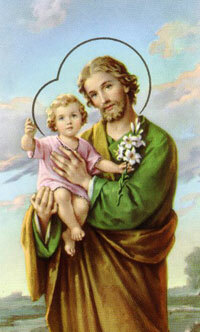 Our council adopted St. Joseph, spouse of the Blessed Virgin Mary and foster-father of Our Lord Jesus Christ, as our patron. Joseph is also patron of the universal Church, fathers, carpenters, and social justice. We are based in High Bridge, New Jersey at St. Joseph Parish from which we serve our home parish and our neighbor parish, the Catholic Community of St. John Neumann in Califon and serve local and surrounding communities.